The live action TV series Power Rangers is getting a movie reboot. Lionsgate and Saban Brands announced today their partnership for an upcoming live action movie reboot of Power Rangers. 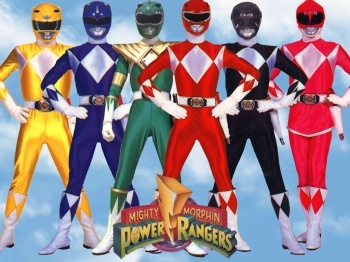 The movie will be based on the original Mighty Morphin Power Rangers live action television series from 1993. Power Rangers creator Haim Saban and Lionsgate Chief Executive Officer Jon Feltheimer noted the series' history and popularity as a brand. Toys, clothes, costumes, video games, comic books, and TV shows have reimagined the Power Rangers for two decades. The rebooted franchise re-envisions the Mighty Morphin Power Rangers as a group of kids in high school who have super powers and must act as a team to save the world. "Lionsgate is the perfect home for elevating our Power Rangers brand to the next level," Saban said in a prepared statement. "They have the vision, marketing prowess, and incredible track record in launching breakthrough hits from The Hunger Games to Twilight to Divergent. In partnership with the Lionsgate team, we're confident that we will capture the world of the Power Rangers and translate it into a unique and memorable motion picture phenomenon with a legacy all its own." Feltheimer said Lionsgate is prepared to maximize the potential of the Power Rangers franchise. "The Power Rangers' stories and characters have been embraced by generations of audiences for more than 20 years, and today they are more powerful than ever." Reboots seem all the rage these days from Spiderman to Teenage Mutant Ninja Turtles to Godzilla. A release date for the Power Rangers reboot was not announced.